Is anybody else getting excited for Teach Them Diligently Sandusky? Not only is it going to be a great event for families, in general, but it’s also at Kalahari Resorts, which means some bonus fun, right? I have never been to Teach Them Diligently Sandusky or Kalahari, so I am beyond excited! Plus, it’s close to Cedar Point as well! The focus of Teach Them Diligently is on the foundation of Christian home education, which is the discipleship of our children – helping them to learn to love the Lord their God with all their heart, mind and strength. It is their belief that by strengthening this foundation in families, not only will their homeschool be more successful in all areas, but their family will also function better. With that in mind, in addition to the “Meat and potatoes” home education workshops that we offer, they also have a large number of classes that deal with parenting, discipleship, marriage, dads, moms, etc. 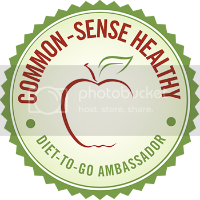 The workshops even cover health and nutrition topics to try to help our families leave with a lot of tools to address issues within their families and homeschools. Then, of course, is the Vendor Hall! There will be around 200 booths ranging from curriculum to homeschool resources, to essential oils and other health products. They build in some special shopping times, too, so our families can fully explore the vendor hall without having to sacrifice hours of workshops. There will be a special keynote address on Thursday evening from Ken Ham of Answers in Genesis, addressing why young people are leaving the church and how to avoid this in your own family. Additionally, a second exciting keynote is scheduled for Friday morning when Cary Summers of the Museum of the Bible and David and Jason Benham will present an exciting look at the Bible (and how the Museum of the Bible will be presenting the history and science of the Bible to the world!) and how the truths of the Bible affects our daily lives right here and now, in this culture. On Friday night, they host an Evening Of Real Refreshment for Moms (hosted by Rachael Carman). That evening has proven to be a real blessing to the moms who attend– with fun, encouragement, and a great opportunity for fellowship. They also host a men’s power coffee to provide that same time for dads. Todd Wilson will be hosting that power coffee. That’s just part of it! I have been told that it will be different than any other event you have ever attended. God has done great things through TTD in the hearts and lives of the families who have joined us, and we are so grateful for that! I cannot wait to connect with other homeschoolers and the vendors! I know I will be blessed! If you’re attending, I’d love to connect! Get Registered – Discount Code! Still need to register? Time is getting close! 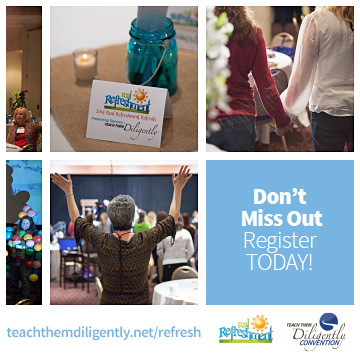 Teach Them Diligently Sandusky is May 12 – 14. Did you know a portion of every family registration will go towards Gospel missions? I love that! Guess what. I have a promo code just for you as well! Use promo code TTD16Sandusky and save an additional $5 on your family registration! They have different locations. Usually Atlanta and Nashville as well, and they’ve had one in Dallas before but not this year. I know some people have to make a fairly far drive even to the closest location, but they say it’s worth it!